The first season took home the AACTA for Best Children’s Television Series in 2013, and the second season is currently screening on ABC3 and around the world. The New Adventures of Figaro Pho follows a warm-hearted, adorable, quirky and mischievous character … who just happens to be afflicted with every phobia imaginable. 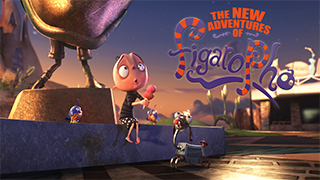 In this series, the usually fearful Figaro Pho has mustered up the courage to venture outside his mansion and into the big, wild world. With a hilarious group of new quirky friends, every one of his activities inevitably turn into a hysterical adventure. For a full list of nominees for the 5th AACTA awards, please visit the AACTA website.